The first Monday in February is the regular date for the release of the president’s budget proposal for the upcoming federal fiscal year. This year, due to the government shutdown in January, the release of the FY 2020 budget was delayed until March. FY 2020 begins on October 1, 2019. The portion of the proposal that would fund the U.S. Department of Education for FY 2020 (School Year 2020-21) is much the same as last year’s proposal, a harsh budget that was soundly rejected by Congress for the current fiscal year. The president’s FY 2020 proposal would reduce funding for the Department of Education by 12 percent, including eliminating 30+ programs. For LDA, this would be extremely problematic, as some of those programs are critical for students with learning disabilities. For example, the president again proposes to eliminate the Comprehensive Literacy Development Grants, part of the Every Student Succeeds Act (ESSA) currently funded at $190 million. This program was the successor to the Striving Readers Act and covers literacy activities, including professional development for teachers, for children birth through grade 12. LDA worked with other partners to ensure students with disabilities are specifically named in this program, allowing more dollars to flow for instruction in reading and writing and teacher training to work with these students. Other large programs would be eliminated if Congress were to adopt this budget. The ESSA Title IV-A block grant, funded at $1.17 million and increased significantly by Congress in the last appropriations cycle, includes funds for school mental health services, technology education (including assistive technology), advanced placement courses, and the arts. This large block grant provides additional funding to school districts for specialized instructional support services, as well. The budget proposal also defunds the Supporting Effective Instruction State Grants and the Teacher Quality Partnership program. Both of these programs focus on staff professional development and increasing knowledge and skills of teachers and other school staff, including how to address the needs of students with learning disabilities in their classrooms. 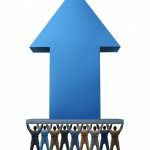 Funding for all parts of the Individuals with Disabilities Education Act (IDEA) would remain at the current FY 2019 levels. The Special Olympics education programs would be eliminated. It is important to note that a “freeze” in funding really amounts to a decrease, as the number of students served and costs to provide those services increase. Simply accounting for increases in “cost of living” to school districts means a cut when programs are frozen. The next steps in the long budget and appropriations process now moves to Congress. Congress may accept some, all, or none of the president’s budget proposal, and members on both sides of the aisle have already indicated the proposal cuts too deeply into domestic programs. The House and Senate are supposed to develop their own budget resolutions which outline spending priorities. However, they have not accomplished this task in the last few years. That said, they may proceed to work on appropriations – funding for specific programs – even without a budget resolution. That process is already underway. LDA follows appropriations for education and other priority programs, including workforce and training, rehabilitation, juvenile justice, and laws affecting chemical toxins. We will continue to report throughout the year to keep you updated. 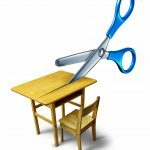 Implementation of a 2016 regulation related to significant disproportionality in special education, promulgated by the U.S. Department of Education at the end of the Obama Administration, was put on hold by the current Administration in early 2017. The regulations would require states and local school districts to examine, report on, and address disproportionate identification and placement into more restrictive settings of students of color, as well as examining disciplinary actions for students with disabilities, including higher rates of suspension and expulsion. After delaying the original regulation, the current Administration initially said the Department would issue a new proposed regulation in February 2019. That date came and went. In July 2018, while waiting for Department action, the Council of Parent Attorneys and Advocates (COPAA), represented by the National Center for Youth Law, filed suit against the Department of Education alleging the Department’s delay violated the Administrative Procedures Act (APA). 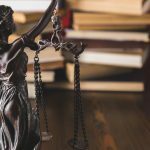 Specifically, the suit alleged the Department had taken actions that interfere with its obligation under the Individuals with Disabilities Education Act (IDEA) to ensure students with disabilities receive needed education services in the most appropriate setting without regard to students’ race. The U.S. District Court for the District of Columbia announced its decision on March 7, ruling the U.S. Department of Education engaged in “illegal delay of a legal regulation.” The court’s ruling requires immediate implementation of the original regulations. A number of states continued to move toward implementation of the 2016 regulation, even though the Department suspended the regulation, so some states will not to have change their current activities. Others put any actions on hold, awaiting the decision of the Department on a new regulation. Those states may have some quick work to do. LDA is now waiting to see what the Department’s next move will be, including appealing this decision. In fact, this decision could have farther reaching consequences, since the Department has been moving to roll back other regulations across the various education programs they administer. It will be interesting to see if organizations or stakeholders challenge other regulatory actions. You can read the full decision in Council of Parent Attorneys and Advocates, Inc. v. DeVos, Collett, U.S. Department of Education at https://ecf.dcd.uscourts.gov/cgi-bin/show_public_doc?2018cv1636-31. The process of determining funding for FY 2020 in getting underway. LDA has joined with a long list of partners and other organizations to ask Congress to provide the largest possible allocation for the Labor-Health and Human Services-Education Appropriations Subcommittee. That allocation is known in Congress as the “302(b),” and the bigger the pot, the more available for LDA’s priority programs. A letter cosponsored by the Committee for Education Funding, the Coalition on Human Needs, the Coalition for Health Funding, and the Campaign to Invest in America’s Workforce calls on Congress to ensure funding for “nondefense discretionary” programs is adequate to cover all the many important federal programs and activities. Nondefense discretionary programs include education, health, employment and training, commerce, transportation, environment – pretty much everything other than Defense and Homeland Security and mandatory programs such as Medicaid, Medicare, Social Security, and some childcare and student financial aid. 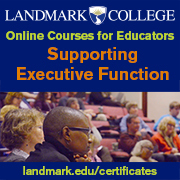 Of real importance for LDA members is to understand the nature of how things work in Washington. Without large coalitions such as the ones sponsoring this letter, it is almost impossible to impact congressional and administrative processes. The more voices that join together on an issue, the greater chance that positive changes will occur for individuals with learning disabilities. 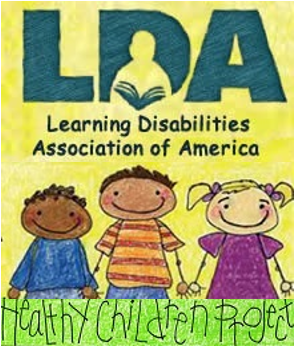 LDA participates regularly in a number of coalitions, such as the Consortium for Citizens with Disabilities, the National Coalition for Public Education, the National Juvenile Justice and Delinquency Prevention Coalition, Advocates for Literacy, and the Title IV-A Coalition. These groups bring together like-minded national organizations that establish annual priorities and strategies to meet those goals. Coalition organizations go to Capitol Hill to educate members of Congress about the concerns and priorities of the group. 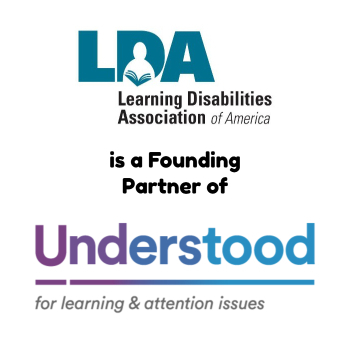 LDA is fortunate to have such dedicated partners, and, in turn, LDA brings to the table information on how programs and policies will affect children, youth, and adults with learning disabilities. We will be highlighting more of the activities of these coalitions as the year continues. Please feel free to contact LDA if you are interested in more information.